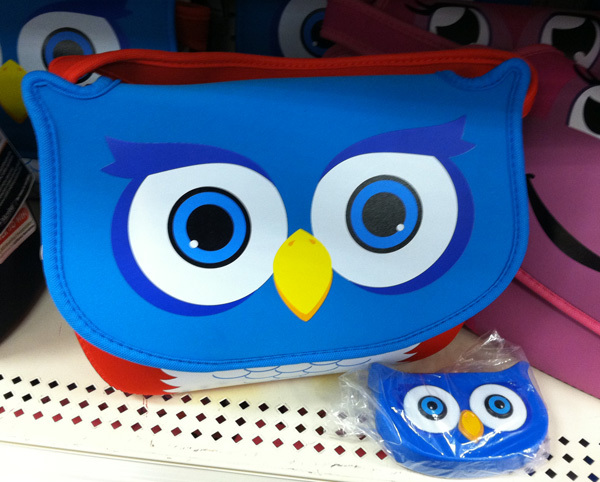 This week at Target a few lunch bags are on sale (or marked down because everything in a store is on sale, right?!) for $11.99. These bags come with a matching ice pack. There were several other designs clearly meant for kids because I stood there confused as to what I was looking at, but I know AmyinOhio of Family Friendly Cincinnati loves owls so this made me think of her. Once you find the right bag there are plenty of items to help make a great lunch! I must have one of these – immediately. LOVE THAT MATCHING ICE PACK!